Friday is quickly becoming my favorite day of the week. 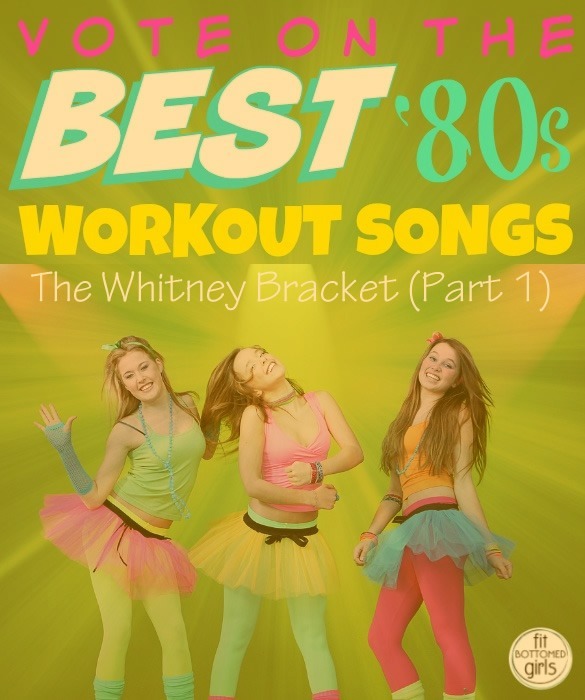 Not because of happy hour (although that’s fun, too), but because it’s such a blast to share the latest brackets in the Ultimate 80s Workout Song Playoff! 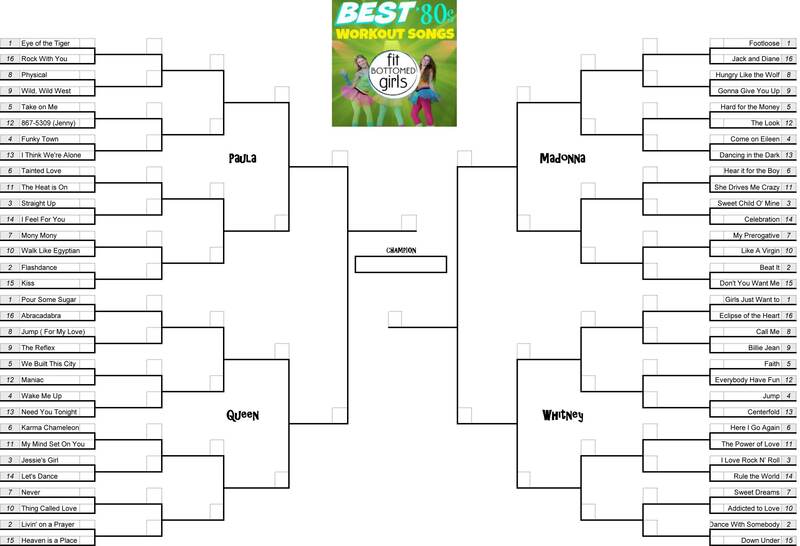 If you haven’t already voted in the Paula, Queen and Madonna brackets (yes, we named them after our fave 80s icons) — Paula in particular has some match ups that are seriously neck-and-neck! — head on over there and cast your votes soon before the opportunity passes you by! Next week, we’ll get started with the second half of the Paula bracket, and I have a feeling there are going to be some tough calls to make there, too. Click the image to pull up a larger size and see all the match-ups to come! Vote for your favorites in Part 1 of the Whitney bracket below, and check back next week for a new group of 80s workout songs to vote on.